One worry on the minds of any road warrior is the state of their vehicle before leaving the safety of home. So, here is a checklist you can follow for preparing your vehicle for the long haul. Take your vehicle in for a tune up. Make sure that the brakes are OK, that there’s nothing mechanically wrong with the vehicle, and that you’ve got all of the mileage-related maintenance done for the age of your vehicle. According to GMTAutoWest.com shop, this is one of the most important things you can do before you head out on a long road trip. Photo CC by Breaker Link. Check your tire pressure the morning of. It’s a simple, yet often overlooked, procedure. Checking the tire pressure may prevent a blowout or it may help you save money on gasoline. Under and over inflated tires create uneven wear patterns on the tire. And, if you’re traveling long distances, this could end up costing you dearly. For example, under-inflated tires tend to bulge at the sidewall, causing “rollover.” This rollover can create burn lines on the sidewall of the tire, weakening it, and potentially causing a blowout. It can also decrease gas mileage. Over inflated tires also cause uneven wear patterns. If the tire is inflated too much, it can also cause a blowout or cause the bead seal to break. Make sure you have a spare, first of all. Then, make sure that your spare tire has air in it. Most people forget about spares until or unless they need them. But, by that time, it’s usually too late. If you don’t have a spare tire, purchase one from your local tire shop or, if you have time, order it online from sites like TireRack.com. If your kids are like most kids, they probably get bored on long trips. If you’re bringing them with you, don’t forget toys and fun things that will keep them busy in the vehicle. Fill up your gas tank. Seems logical and natural, but many people forget. If you start with a full tank, you won’t have to make as many stops, meaning you can get to where you’re going faster and more efficiently because you won’t have to get off the highway, waste gas in stop-and-go traffic, and waste time filling up. Chlorine bleach and a medicine dropper – in an emergency, you can use 16 drops of regular bleach per gallon of water to purify water (not color-safe bleach or bleach with any other added cleaners). Take a vacuum cleaner and clean everything out. Put a portable garbage bag in the vehicle. Start “fresh” on your road trip and keep it that way. Also, wash and wax the outside. Not only is this a practical thing to do, it can help protect your vehicle against the elements. Make sure that your battery is not only fully charged but that it can start your vehicle quickly when the engine is cold. Clean off the terminals if there’s any buildup on them. Inspect the wiring and make sure nothing is frayed or damaged. People forget this one too. If you already have racked up 2,000 since your last oil change, don’t be afraid to have it done again – early this time. It’s much better to have the oil checked before you go on a long trip than after. It only takes a mechanic 15 minutes, tops, to get it done, but it could save you a lot of wear and tear on your engine. 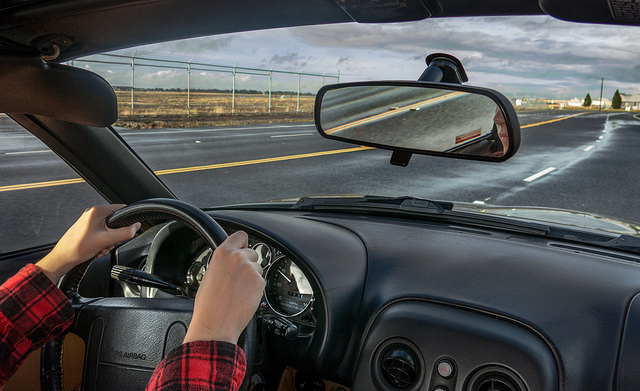 If you’re traveling long distances, consider travelers insurance. It’s not absolutely necessary, but it might come in handy if you’re burglarized on your trip or if you lose something. Zara Conway is a keen traveler who loves nothing more than a road trip with her beloved dog. She is a freelance writer who blogs, mostly about travel, sharing her experiences and tips.